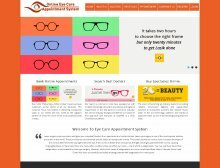 This project Eye Care Appointment System has been developed on PHP and MySQL. The main aim of the simple php mysql project is to develop web application as per student requirements. The main objective for developing this Eye Care Appointment System project can helps for the customer to book for an appointment for an eye checkup. This project Intends different types of forms like online booking for appointment, details of treatment, facilities, eye care products and patients details. This project provides a lot of features to manage in very well manner. This project contains a lot of advance modules which makes the back end system very powerful. These are very useful php mini projects with documentation for learning and submission in college. Students can easily free download php projects.